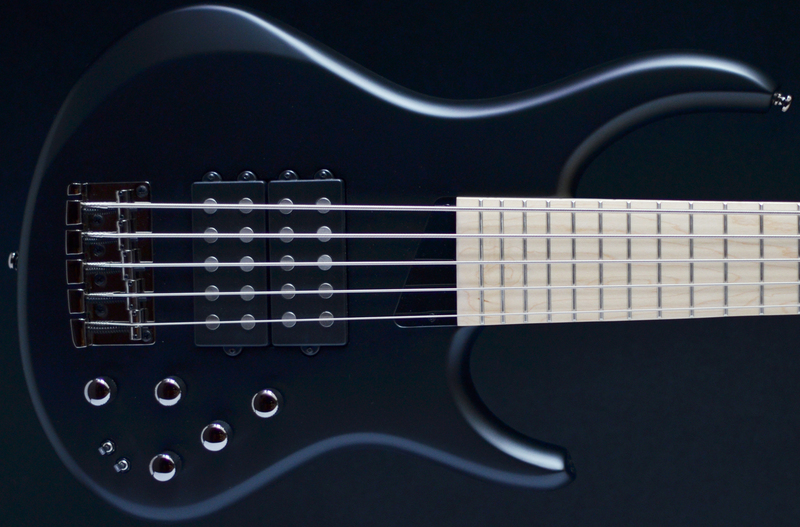 The MTD Kingston Super is the perfect combination of beauty and brawn. The stunning carved body and premium finishes perfectly support an incredibly powerful electronics package. How powerful, you ask? Well, in addition to a 3-band active preamp, Michael Tobias included a three way mini-switch for each MM-style pickup. In the down position the pickups are in humcancelling series mode, which gives a big, bold, punchy sound. In the middle position the pickups are in single coil mode, making them sound bright and twangy. In the up position the pickups are in humcancelling parallel mode and they sound bright and sweet, with a slightly lower output than series mode. When both pickups are in single coil mode they are hum cancelling when the blend pot is centred. Lightweight instruments with a huge array of old school and modern tones, easy string changing, massive sustain, in tune where ever you play, comfortable and super fast neck. That is a lot of tonal flexibility! Michael has given you a massive pallet of sonic colours. So get yourself a MTD Kingston Super and start painting! 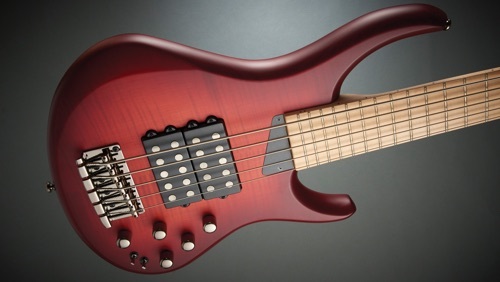 MTD Kingston Super 5 review - 5 stars! 1A stunning bass at a stunning price. 2Fully featured, comfortable, highly playable. Our exclusive Buzz Feiten Tuning System¨ (BFTS) Shelf Nut moves the strings closer to the first fret according to our Patented Formula. This eliminates sharp notes at the first three frets. Top View : Each Shelf Nut is precision machined from high quality bone for superb tonal response. Side View : The strings are moved closer to the first fret a precise distance based on the scale length, fret width and string gauge of your guitar. The slight overhang of our nut (the 'Shelf') does this without altering your guitar in any way. So it's even fine for vintage guitars. 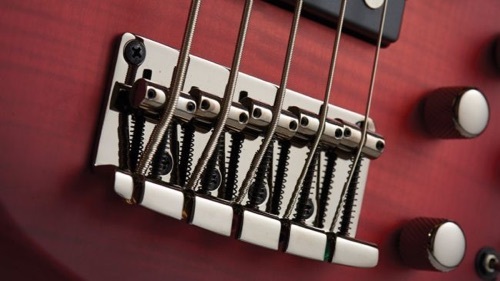 Your guitar's bridge is adjusted according to our Patented Pitch Offsets, creating balanced intonation over the entire fingerboard - every fret - every string.